Instagram is one of those apps that’s a little like brussels sprouts: you’ll either love sharing photos with fancy, vintage-style filters plastered on them, or you’ll loathe seeing the same filter applied to mundane shots of someone's lunch. Love it or hate it, there’s no denying how popular the service is. There are now around 50 million Instagram users, and apparently Facebook could see its worth, considering it agreed to purchase the company for $1 billion. Instagram isn’t the only photo filter app out there, though, and there are definitely geekier options. Here are five of them for your enjoyment and amusement. 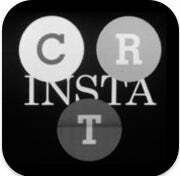 Forget computer-generated filters--InstaCRT is the real thing. InstaCRT actually displays your image to a CRT screen, snaps a photo of it, then sends the resulting photo back to you. The process takes only a few seconds, and it leaves you with a genuine retro CRT effect. Sorry Instagram, but this one genuine filter totally one-ups your filter selection. The app is only available on iOS for now, and it'll set you back $2. PicPlz may look like your typical app for sharing your enhanced photos, but hit the “LOL” filter, and you have what amounts to a meme-maker and Instagram rolled into one. Once you’ve created an epic meme, you can share it across a variety of social networks through the app, and just maybe you’ll be picked up on the Cheezburger Network. The best part? It's available for both iOS and Android, and it's free! Update, June 25, 2012: Sad pandas--PicPlz will shut down for good on July 3, 2012. If you really want to achieve a retro vibe, how about going back to the lowly pen and paper? Fortunately, if art isn’t your strong point, Jonathan Cresswell, the brains behind Instickgram (and a personal friend of yours truly), will do it for you. Simply take a photo, then share it on Twitter with the hashtag #Instickgram, and Jon will get back to you with a stick figure version of your image. It’s then added to a delightful gallery of stick imagery. Given all the hype that 3D TV has gotten, it isn't surprising that somebody tried to somehow incorporate it into photos. 3D Photo does just that. 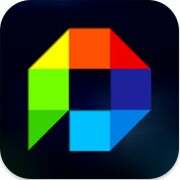 Take a photo, and choose from a variety of different 3D effects to give your snapshot some quirky new dimensions. The results get saved to your camera roll, but you can also share them on the likes of Facebook and Twitter. Sorry, Android users--this one is only for iOS. It's available from App Store, and it costs $1. If you have an Android phone, though, this 3D-effects app on the Google Play store might be worth a try. Seriously, is there anything more pleasing that shaking a Polaroid photo, even if it's a simulated one on a phone? ShakeItPhoto lets you re-live the the experience of taking an instant photo. 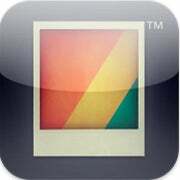 Take or upload a photo, wait for the Polaroid-style photo to come through, and then shake your phone to make it develop! This one is available for $2 on the iOS App Store. Have a favorite Instagram alternative? Leave a comment and tell us why you like it.